Much more than a collection of marketing choices, brands comprise, brand names, brand marks, trademarks, and trade names. The power of branding rests in the perceptions, emotions and attitudes that consumers form towards a brand. Consumers’ feelings toward a brand and their experiences with the brands, in addition to a brand’s symbolism and experiences, differentiate one brand from another. A brand may consist of a single item or many items. Today, many companies also see brands as an asset. In fact, we have seen brand names become more valuable than the companies that created them. Consider the case of brands such as Polaroid, Magnavox and Zenith, whose companies went bankrupt years ago, and yet their brand names continue to be licensed today. Strong brands have high brand equity because they are valuable assets that offer a number of competitive advantages. Brands with high equity enjoy high levels of brand awareness and customer loyalty. Because consumers demand brands with high equity, the manufacturer has more negotiation power with retailers. With consumer demand and a strong negotiation position, manufacturers can more easily launch product lines and brand extensions. Brand equity also provides some price protection because loyal consumers will pay more for the brands they admire. All brands have some measure of brand equity. Powerful brands like Disney, Apple and Nike have strong brand equity. Brand equity accounts for the difference in customer response that a brand name makes. In essence, brand equity is a factor of a brand’s ability to keep and attract customers. Consequently, a brand can have negative brand equity or positive brand equity. For instance, consumers with strong brand loyalty respond less favorably to unbranded products or other branded products in the same market. Young and Rubican developed a model to measure brand strength. Brands that rank high on each factor have high brand equity. Their model consists of the following four components. All brands make promises to consumers. The strongest brands make unique promises that they consistently uphold. These promises must differentiate from the promises of other brands so that consumers have a reason to purchase them. However, differentiation doesn’t guarantee sales. Consumers won’t buy a brand if they don’t know anything about it. Strong brands have effective advertising and promotional campaigns that are successful in educating the market. Brand stories must be told and retold to new generations of customers. changing market conditions and evolving trends. Esteem represents how much a brand is respected. Esteem can be built by providing great quality, service, support, etc. Consumers must demonstrate high respect for a brand to have equity. 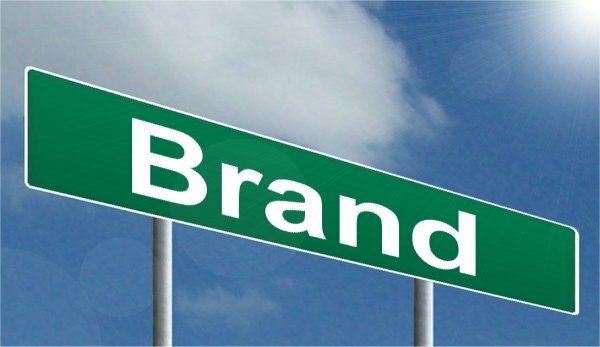 Brand managers are responsible for implementing strategies that increase brand equity, without damaging the brand’s reputation or long-term profitability. This is done by focusing on the following 8 factors. Creating a brand that is recognized and respected is difficult. However, some characteristics make successful branding feasible. At a minimum, a branded product must be easy to label and identify. The brand should display consistent quality and represent good value. It should also be easily available for purchase and meet legal and ethical standards. To be profitable, a brand should also have an adequate life cycle and demand. Developing successful branding strategies requires excellent communications, planning, and coordination among all levels of manufacturing, distribution and sales. Brand equity cannot be achieved without a powerful communications strategy. Today’s multicultural marketplace further complicates matters and demands that communication be multilingual, culturally sensitive, online and mobile. Working with an established translation services company is necessary to ensure accurate and professional communication across all markets. Marketing communications isn’t the only area where strong communication strategies are necessary. Brands also need strong communicators to attract financiers, resolve legal matters, and direct cross-functional groups. A brand may offer a strategic competitive advantage and address unmet needs, but unless marketing research shows strong sales projections, none of that matters if consumers aren’t aware of it. Brand awareness means that consumers can remember a brand. Not always easy to achieve, nevertheless this makes a huge difference when there are many competing products. In addition to traditional means of advertising and promotion, brand managers must include social media and content marketing. In today’s, Internet-based economy, a company’s reputation can be built or destroyed in minutes. Many factors can influence a firm’s reputation. When companies engage in questionable conduct, they can damage their reputation and destroy customer trust. But reputation can also be damaged by unreasonable clients who lodge unfair complaints online and in social media. To protect your brand’s reputation, enlist a skilled communicator who will respond quickly and professionally to customer questions and negative publicity. A poorly communicated response will make matters worse and damage a brand’s reputation. Companies are expected to make legal and ethical decisions. When customers, consumer protection groups, or businesses become upset over unfair practices, they may call for lawmakers to legislate and regulate the unethical behavior. Legal and ethical choices are a fundamental aspect of brand equity. Brands that operate legally and ethically help build trust and long-term relationships. Effective branding relies on productive collaboration and teamwork strategies. Collaboration is the driving force that brings together people from diverse fields and specialties to solve complex branding problems. Online collaboration tools make it possible for people around the world to come together quickly and effectively in real time to create marketing collateral, resolve technical questions, develop products, conduct financial analyses and resolve legal matters. Branding is also about managing profitable customer relationships. To achieve such relationships, a brand manager must attract new customers by promising superior value and retain existing customers by delivering satisfaction. Brands that offer superior value can benefit in numerous ways. Because distributors and retailers want to carry brands that offer value, gaining distribution becomes simplified. Brands with more highly perceived value command premium pricing, better margins, and wider distribution. Emotional capital is the adhesive that attracts consumers to a brand. Strong brands retain customers through economic downturns, job changes, and other life challenges. Emotional capital converts a consumer into a loyal brand advocate who gives positive testimonials and word-of-mouth advertising. These customers commit to a brand and remain loyal to it. Peter Detlef, is a marketing and linguistics professional with two decades of experience on both the client and agency side of marketing. His work experience includes International Marketing and Marketing Research, Project Management and Product Management for medium and large corporations. He is a part-owner of 24 Hour Translation. Awesome work on this post Peter. I appreciate you putting in the time to create this great resource! Thanks for giving detail about Brant equity Strategies. This highlights the strategic value of brand equity well and how you might go about improving branding, but to me it seems like quite a complicated process to put a monetary value on. How do you work out how much people’s perception of a brand is worth? How can we track improvement in this area? There are a number of models used for calculating a brand’s value. A very simple model might operate on the premise that value equals the premium price that the branded product commends less the cost of a generic equivalent. great points but i was wondering if you had any tips for making the most of google analytics to help your brand? I find facebooks system is a bit useless sometimes and want to focus more on a google business page. do you agree? do you think this is worthwhile? anyway thank you for the article, it’s getting me motivated haha! A Google Business page is a great idea for local businesses. We also recommend that you establish small business pages other platforms such as Facebook, Bing, Superpages, etc. Just search Google to learn more about setting these up. First of all i will say thanks for this Awesome work on this post Peter. I appreciate you putting in the time to create this great resource! Thanks for giving detail about Brant equity Strategies. There are a number of things available for calculating a brand’s value. A very simple model might operate on the premise that value equals the premium price that the branded product commends less the cost of a generic equivalent.